Author Interview: JK Rowling | 'The Casual Vacancy,' Her First Book For Adult Readers The Casual Vacancy is worlds away from Hogwarts and Harry Potter. It's a dark comedy of manners, set in a small town in the aftermath of a local politician's death. Rowling says her experiences with poverty informed her gritty portrayal of English life. The extended interview above includes parts one and two of the Morning Edition interview, plus additional material. J.K. Rowling has a new novel. She's moved away from Harry Potter, the boy wizard whose stories prompted millions of kids to obsess over books big enough to serve as doorstops. Having concluded that series, she's written a novel for grown-ups called The Casual Vacancy, a story of troubled teenagers and their even more troubled parents. A local politician in an English town drops dead, prompting not mourning, but an outbreak of speculation over his suddenly empty town council seat. There's no magic in Vacancy, though readers of the Potter books may well recognize Rowling's acute and often painful observations of human nature. Rowling tells NPR's Steve Inskeep that Vacancy was a book she felt a deep need to write. "Exactly as with Harry Potter, I knew it was something I really, really wanted to write. I became excited about the idea of writing it," she says. "It's a very personal book ... It's not my story, but it does address themes, subjects that are very important to me." Rowling got the idea on a plane, while touring the United States to promote the last Harry Potter book. "There appears to be something to do with vehicles and movement that stimulates my writing," she laughs. Rowling was, famously, on a train when she had the idea for Harry Potter. J.K. Rowling is taking her first steps into the world of adult literature after the immense success of the Harry Potter series. There are kids in Vacancy, but they're worlds away from Harry and his wizarding pals. "I knew that there would be an element of subversion in the story," Rowling says. "Largely from the teenagers, in that they attempt to influence what's going on." She describes those teenagers as simultaneously victims and protagonists: "I suppose that the whole plot revolves around the question of what we do with someone like this particular teenage girl ... from a very deprived family. She's rather disruptive in school; there are just a lot of aspects to her situation that interest me," Rowling says. "In some ways, for very personal reasons, because — as is very well-documented — I, too, have passed through a period of poverty in Britain and can understand some of those issues." "I think that I've had a very strange life," Rowling adds. She came from a well-educated, lower-middle-class background, she says, but as many biographies have noted, she ended up on welfare after her first marriage broke down. Pressed to describe what "middle class" means in the British class system, Rowling laughs. "I'm really not qualified to do it ... I think you could ask 10 English people the same question about class and get a very different answer. Social mobility is one of the great issues of the day here, as I'm sure it is in America." 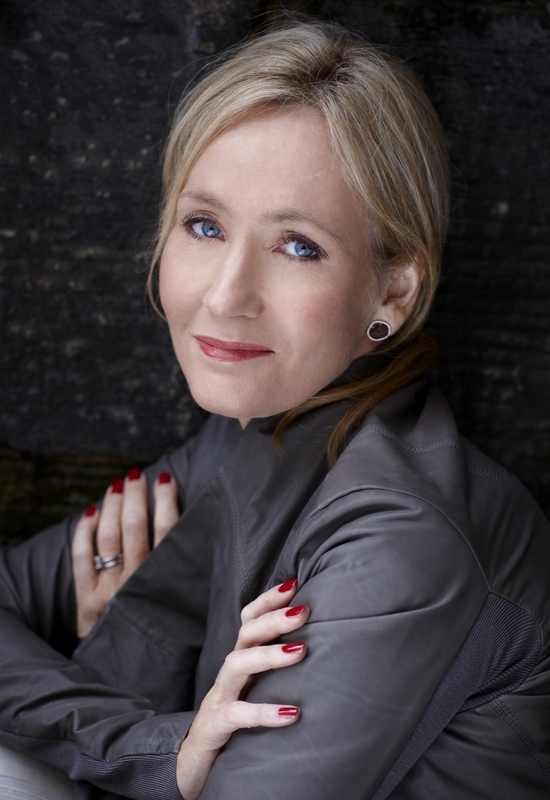 Rowling says she hasn't met with class prejudice since her success. But, she adds, "I would say that I have many times met with the assumption that my attitudes have changed much more than they have towards people who are still in the kind of situation I once was." She recalls an encounter with a man who described his neighborhood as free of "riff-raff." "His assumption was that I would be glad to have kept out of my area the kind of person that I used to be, because I think, you know, not that long ago he would have considered me riff-raff, too." Rowling's experience with poverty — and with teaching — informed her portrait of the deprived and disruptive Krystal. "When people are very damaged, they can often meet the world with a kind of defiance," she says. "This automatic denial, this wish not to take responsibility for anything, this fear that if fault is found, they will be condemned and ruthlessly punished ... I saw that a lot when I was teaching. And yet it does absolutely, it can and does often go hand in hand with a very routinely cavalier ... relationship with the truth, and with what you and I would consider very basic morals." But when characters like Krystal and her mother feel powerless or unjustly accused, their anger can be intense. "One of the great problems for me is that the poor ... are so often discussed just as this large, shapeless mass. You lose your individuality a huge amount when you have no money, and I certainly had that experience," she says. "You become part of a problem. You're someone who stands in a line to get money; it's not where you want to be, and you become very voiceless." Another teenager in the novel, Andrew, posts to a web site an anonymous message about his abusive father — unaware that his actions will have a lasting and far-reaching impact. "It goes to the heart of these teenaged characters," says Rowling, "that they are this curious mix, which I think is very characteristic of adolescence, of being truth-seekers in the way that adolescents often are. They crave the big picture, they crave the grand gesture ... yet at the same time, they have very little empathy." Rowling adds that her 19-year-old daughter has read Vacancy. "She had a curious reaction, actually. ... She said, 'It's made me realize how much I don't know.' .... She wasn't old enough when we left a life of real poverty to remember some of what I can remember, and I suppose this book brought it home to her, what kind of existence we could have had." But Rowling says she hasn't thought much about the reaction of professional critics. "I truly don't mean this in any kind of an arrogant way, but I feel very liberated at the moment. 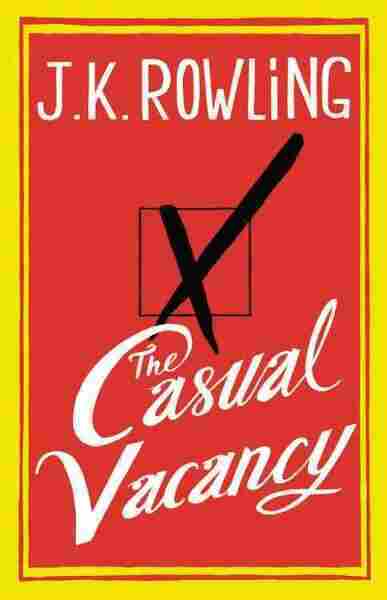 And whatever the reviewers feel about The Casual Vacancy, it is what I wanted it to be, and you can't say fairer than that as a writer."